In a valley, surrounded by spectacular views of the Blue Ridge Mountains, Black Mountain calls itself “The Little Town That Rocks!” Peppered with locally-owned restaurants and art galleries, Black Mountain is loaded with small-town charm. 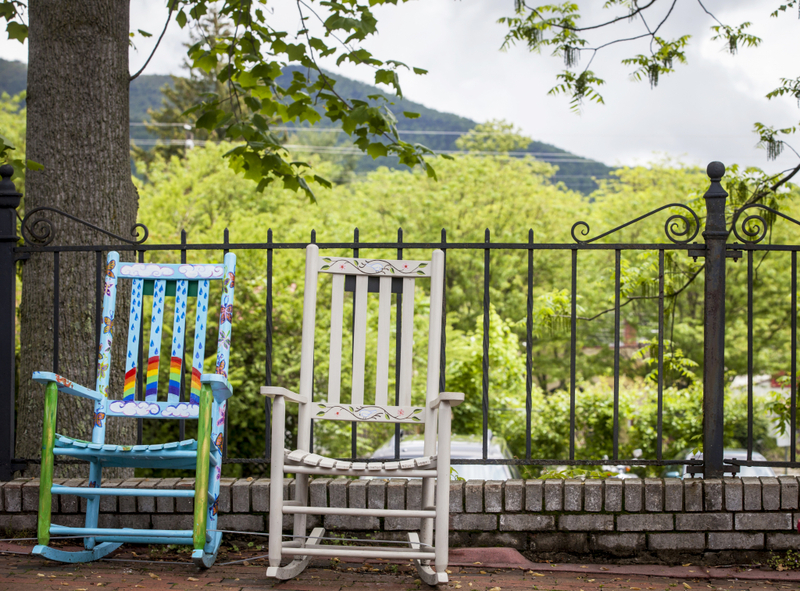 From Summer to Fall, rocking chairs painted by local artists can be seen outside the downtown shops, thus inspiring the nickname. The valley is littered with hiking trails, perfect for walking or biking. Clear running mountain streams and lakes provide ample opportunity for fishing and camping.